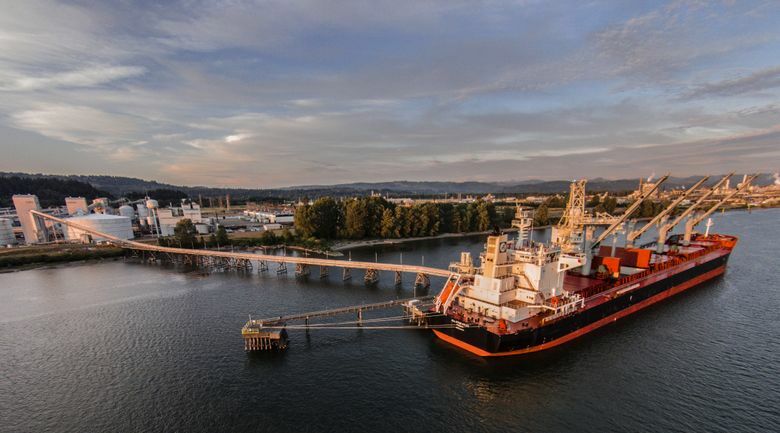 The rejection of a permit of a Longview coal terminal ends a debate that has raged over the role of Washington in serving Pacific Rim coal-users. THE false promise of coal-export facilities in Washington collapsed last week, when the Washington Department of Ecology nixed an essential permit for the Millennium Bulk Terminals in Longview. What would have been North America’s largest coal-export terminal looks to be no more. The department’s kibosh feels like a watershed moment in Northwest economic history. It was the final star in a constellation of coal-project black holes, ventures that seemed time-machined from the West’s extractive-industry heyday, circa 1910. Ecology flagged nine problem areas with the Millennium proposal, The Seattle Times’ Hal Bernton reported, from air and noise pollution to rail safety. A Longview terminal also could increase the cancer-risk rates in parts of Cowlitz County. The potential fallout was wide-ranging: The final environmental-impact statement underscores the loss of historic properties as well as indirect impacts on tribal resources such as Columbia River fisheries. The coal-export story arc began innocuously enough. The Powder River Basin of Wyoming and Montana is now the largest coal-producing region in the country, supplanting West Virginia and Appalachia. Coal companies feast on cheap leases within the federal domain — a giveaway scrutinized in the waning days of the Obama administration. Proponents of Powder River Basin coal also claimed that it was “clean,” a myth woven into their talking points. The marketing and economic strategy looked sound (at least in the beginning). China and East Asia’s growing appetite for coal coincided with once-thriving blue-collar communities such as Bellingham and Longview hungering for a boost. Coal companies quickly enlisted Northwest political consultants, many with a long list of Democratic clients, to frame the series of terminals as a living-wage jobs initiative. Unions, along with lawmakers such as U.S. Rep. Rick Larsen, who supported the Gateway Pacific Terminal at Cherry Point, illustrated the broad appeal. But things fall apart. The tribes litigated; activists mobilized. In 2016, the U.S. Army Corps of Engineers announced that the proposed Gateway Pacific terminal near Bellingham violated the Lummi Nation’s treaty fishing rights. Concurrently, China’s voracious appetite for coal has quelled, eased by domestic production and a focus on renewables. While terminal opponents celebrate, there are still two questions that must be addressed: How does Washington kindle economic development in rural areas and communities such as Longview; and, two, how do we ensure that the Department of Ecology’s expanded reach — incorporating economic and environmental factors beyond its normal scope — avoids morphing into an exuberant, job-killing agency? These are two more challenges for Olympia lawmakers to tackle in January.